ALL BRICK HOME ON LAKE MULLEHORNE WITH PRIVATE DOCK. 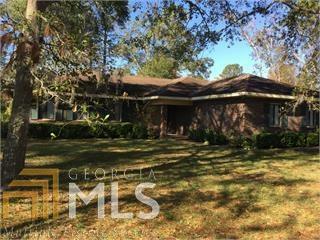 FENCED YARD WITH OUTDOOR BRICK GRILL TO ENJOY WHILE WATCHING THE SUNSETS OVER THE LAKE OR FRIENDS AND FAMILY ENJOYING THE LAKE . CLOSE TO EXIT ONE MAKING IT EASY TO COMMUTE TO KINGS BAY, JACKSONVILLE. ENJOY YOUR AFTERNOONS FISHING OR SETTING ON THE DOCK OR SCREENED PORCH. ROOM TO BUILD A WORKSHOP AS WELL OR A BOAT OR RV STORAGE AREA. COME HAVE FUN AND ENJOY THE GOOD LIFE. Directions: Exit One I-95 Go West On Scrubby Bluff Road. House Is On The Left.